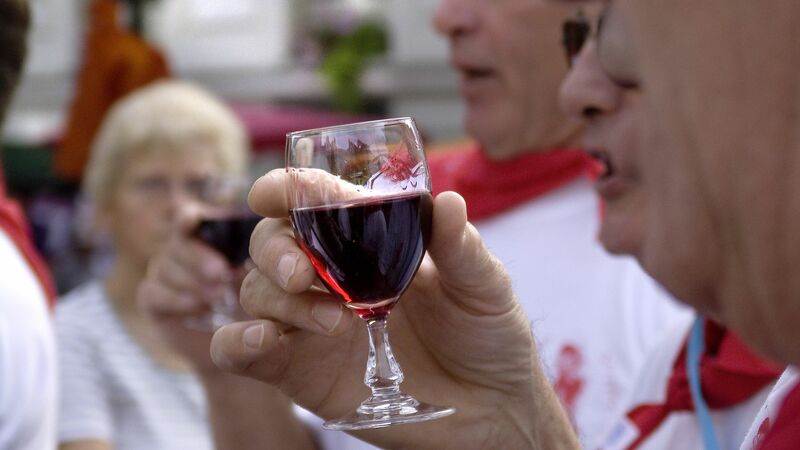 The Loire Valley hosts a number culinary events all year round. For example, on beautiful summer days you can stop by at Le Voyage à Nantes, or the Rillaudée and the Montgolfiades in Brissac-Quincé, as well as local markets in Chambord and the garlic and basil fair in Tours. 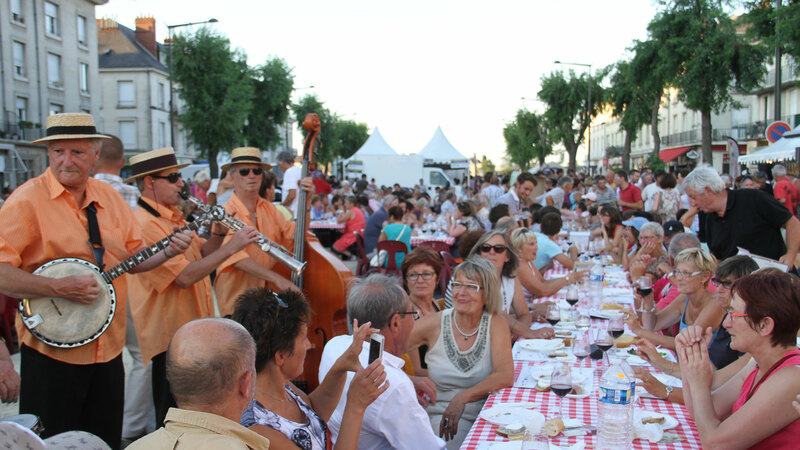 At the beginning of July, the Rillaudée and the Montgolfiades are held in Brissac-Quincé. Two events in one! Over the course of three days you can take a ride aboard one of fifteen hot air balloons and, in the evenings, taste Rillauds (a local speciality) and enjoy a ball and fireworks. 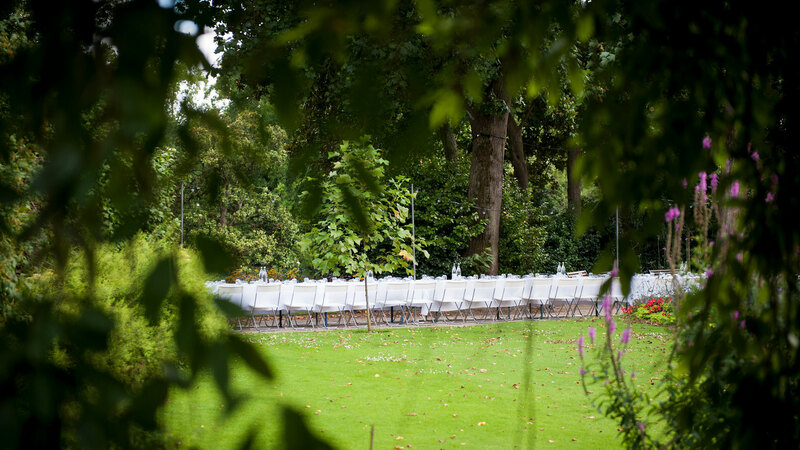 The ‘secret dinners’ of Le Voyage à Nantes, held at the end of July, promise a meal as delicious as it is mysterious. The location is kept secret until the last minute but great surprises are always guaranteed, like dinner in the heart of a vineyard, prepared by top chefs. Another event in July is the garlic and basil fair, in Tours. Let yourself be tempted by the beautiful white, violet or pink braids of garlic, or by one of the numerous varieties of basil to add flavour to your cooking! At the start of August, don’t miss out on the two evenings held as part of the Grandes tables du Saumur Champigny, right at the heart of Saumur. 10,000 people come here every year to celebrate the Appellation with music, dinner and local produce. Make sure you book in advance! At the end of October, the Journées Gastronomiques de Sologne in Romorantin guarantees two days filled with traditional gastronomy and festivities. Stuffed crepes, goat’s cheeses, zander fillets... mouth-watering! You can even buy your favourite produce in the exhibition-village which is full to bursting with good food sold by local producers and artisans. Talking of local produce, let’s not forget truffles, which are a top favourite in the Loire Valley. 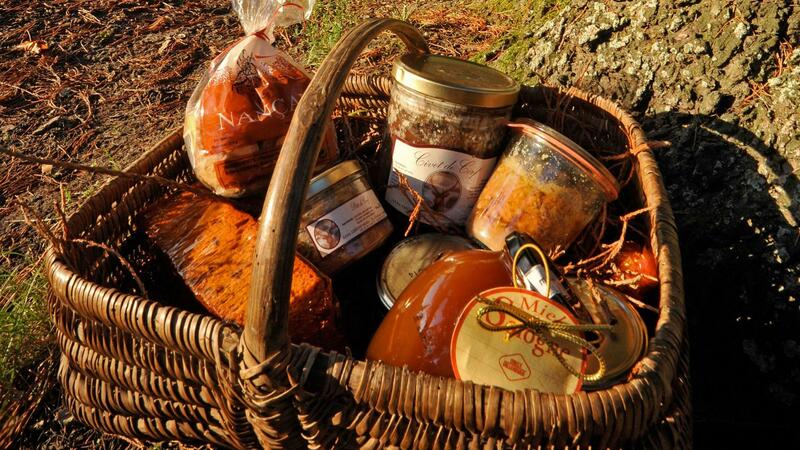 In winter, from December to January, they can be bought at the truffle market in Marigny-Marmande, near Richelieu. A piece of advice: come early! During the same period, you can also visit the truffle field Le Logis de la Pataudière, in Champigny-sur-Veude. During Vitiloire in May in Tours, “L’Atelier des chefs” (Chefs’ Workshop) gives pride of place to local produce. Using typical local ingredients, the different chefs from Touraine concoct delicious dishes. Le Marché du terroir, in Chambord, also returns each year with the arrival of spring. Held right next to the majestic château, in Place Saint-Louis, here you will find quality produce including goat’s cheeses, venison terrines, saffron, Loire wines and liqueurs.